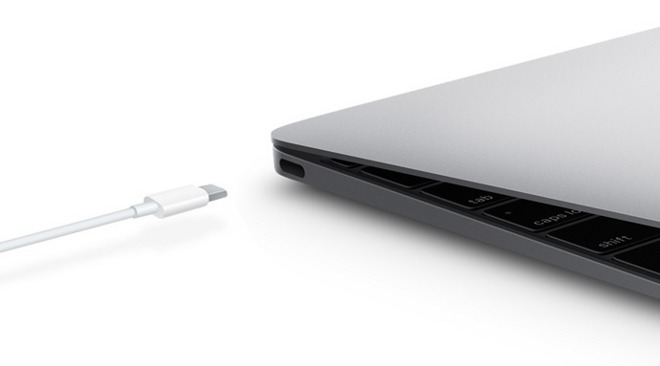 Apple's decision to include a single, all-new USB-C port on the reinvented MacBook has sent buyers of the ultraportable scrambling for adapters and conversion cables to connect legacy devices —but be mindful of what you plug in. For decades, Hi-Fi enthusiasts have been fighting a holy war over speaker wires. Half of the community swears that their gold-plated jacks and oxygen-free cable sheaths just make things sound better; the other half plugs in lamp cord from Home Depot and says they can't tell the difference. As we move further into the digital age, a similar battle is being waged by computer nerds over USB cables. The cables themselves are passive —save a resistor here and there —and aside from the quality of the plastic, there's very little to differentiate a cheap one from an expensive one. It's true, for instance, that Apple's $19 Lightning cable doesn't perform $13 better than the $6 version available from Monoprice —by the by an excellent vendor —but it's still important to consider the source before going for cut-rate cables. Google Pixel team member Benson Leung has been reviewing USB-C cables on Amazon for a few months, mostly to determine whether they comply with the USB-C spec. He wants to make sure that consumers who buy a cable to use with a Pixel —or any other USB-C compliant device —will get what they think they're paying for. Your MacBook cost more than $1,000. Don't cheap out on cables that could kill it. Everything went swimmingly for more than a hundred reviews, until Leung found a cable that was totally miswired from the factory: in addition to having the wrong resistor, the company had hooked the ground pin on one end to the power pin on the other. The net result was a dead Chromebook Pixel and two fried USB power delivery analyzers. Several of the cables Leung tested and verified as good actually cost less than the $9.98 SurjTech model that ended his Pixel's life, so this isn't a lesson about cost. Rather, it's one about common sense. It's fine to look for options which are less expensive than those from the original manufacturer —even we at AppleInsider use some third-party Lightning cables —but make sure to stick with brands that are tried and tested. Remember, your iPhone likely cost you upwards of $600 or your MacBook more than $1,000; don't blush over a $10 cable that could end their lives. NOTE: Of those Leung tested, Anker's products consistently rated well. You can find USB-C cables and adapters, along with many more Anker power products, at the company's Amazon store.